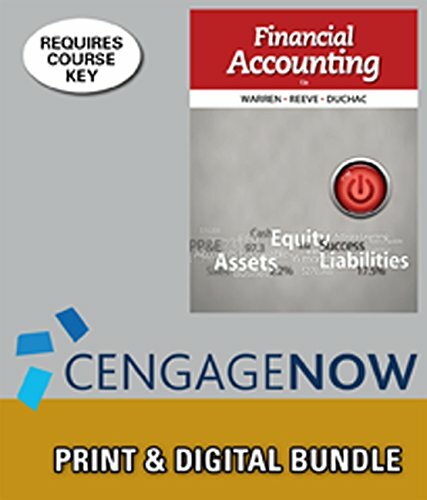 Students save money by purchasing this bundle which includes Financial Accounting, 13th Edition and access to CengageNOW(tm) via Printed Access Card. CengageNOW provides one easy-to-use resource designed to improve your grades. Some resources get you prepared for class and help you succeed on homework, and others show you specific areas where you can work to improve.